Usually, people think that coming up with a unique idea on the daily basis is a difficult thing, which is quite true to some extent. However, with some helpful content idea generating tools in your reach, you can manage to write a post on such a topic that can easily went viral without pushing it with paid marketing techniques. Following are some of the most useful content ideas generation tools that anyone can use to get some interesting yet unique topics for his/her future blog post. HelpMeWrite, as it names, is a place where writers usually go to find some help on writing content. It is basically a community of professional blog authors and article writers who share their ideas and the community upvotes their suggested idea, if they find the topic interesting. So, all you need to do is to become a member of this amazing community of writer’s, share your ideas and if you receive upvotes from the fellow members, then it means that the topic has a potential to go viral online. If not, then you don’t have to waste energy in writing a blog post on a bogus topic and you can better utilize that time and energy in coming up with a brilliant content idea. You can also seek advice and input from other fellow writers to help you amend content idea in a way which can go viral easily. This one is personally my favorite as most of the content ideas it suggests are attractive, unique and out-of-the-box. Title Maker by Portent suggests you some of the brilliant content ideas based on the keywords or topic you have entered. For instance, you are running an academic blog where you share helpful tips with students and you have already covered some basic contents and now you need an inspiration. All you can do is enter your previously covered topics in it and it will give you some amazing topics in result. While checking out this tool, I have entered “Assignment Writing Tips” and it has given me numerous topics like “9 Myths Uncovered About Assignment Writing Tips”, “The Best Ways to Utilize Assignment Writing Tips”, “19 Ways Assignment Writing Tips Can Increase Your Productivity”, etc. As you can see that not all of the topics are exactly what you wanted to write a blog post on but with a little creativity of your own, you can easily come up with a unique and interesting topic to write a blog post on. Avoid entering long tail keywords to get more content ideas out of this amazing tool. The shorter or lesser the keywords you will enter, the more ideas it will generate. ÜberSuggest is also an amazing tool that suggests topics based on the keywords provided by users. The best thing about this fantastic tool is that it mostly provides content-backed ideas. So, you will not have to face “Not Enough Information Available” situation when you will begin searching on the ideas suggested by ÜberSuggest. Another great thing about this tool is that it takes ‘Google suggest’ which means that the ideas suggested by this tool would be one of the terms that people, in real-time, are searching on the internet. This way, you would have to push your post, a very little, to start driving organic traffic on your web and getting shares on social media. Title Tool by ContentForest is nothing less than a blessing for non-technical bloggers –persons who are part-time bloggers or run blogs on a non-technical niche such as education, medication, social services, etc. For instance, you are an academician who runs dissertation writing help blog, you are likely to run into situations when you don’t find a unique topic to share with your international students. It is because there are very few tips, tricks, and hacks that you may have already covered in previous posts. However, with this simple tool, you only have to enter keywords like uk dissertation, dissertation help, etc. 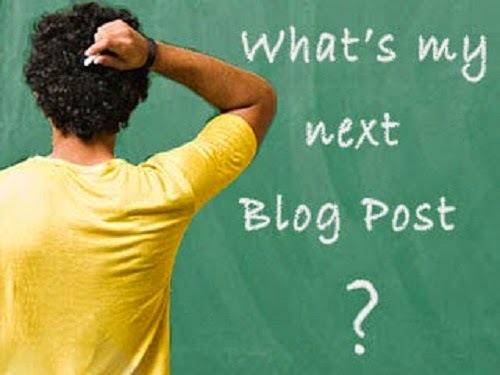 and it will provide you with some of the unique topics that you may not have covered on your blog. It has the same search rule as of Portent’s Title Maker which is to enter less keywords or short-tail keywords to get more ideas and suggestions. TrapIt is a premium content-curation tool which provides marketers and bloggers with the hard-to-find content ideas having high probability of driving traffic to their web. It uses artificial intelligence system and algorithm which is focused on the relevancy of content needs, it digs deep to provide some of the most amazing yet relevant content ideas of your desired industry. All you need to do is to enter a keyword or a URL to create trap around it and the tool will start digging deep around the entered keyword or web link. Moreover, it comes with filter to narrow down suggestions given by the tool including source quality, media-type, geographic location, tags and others. Another amazing feature of this tool is that it fetches out content based on your preferences. For instance, you have entered a keyword; it will fetch out and deliver numerous relevant articles based on it. However, it does not know which ones among those articles are more relevant and which ones are not and it learns your preferences through your liking and disliking. Therefore, giving the thumbs-up to relevant content and thumbs-down to irrelevant one will help it remember your preferences and next time you will be provided with a more relevant content. I really feel interested about the tools that you have mentioned above and want to try it by myself. After trying, I will share my experience with you.